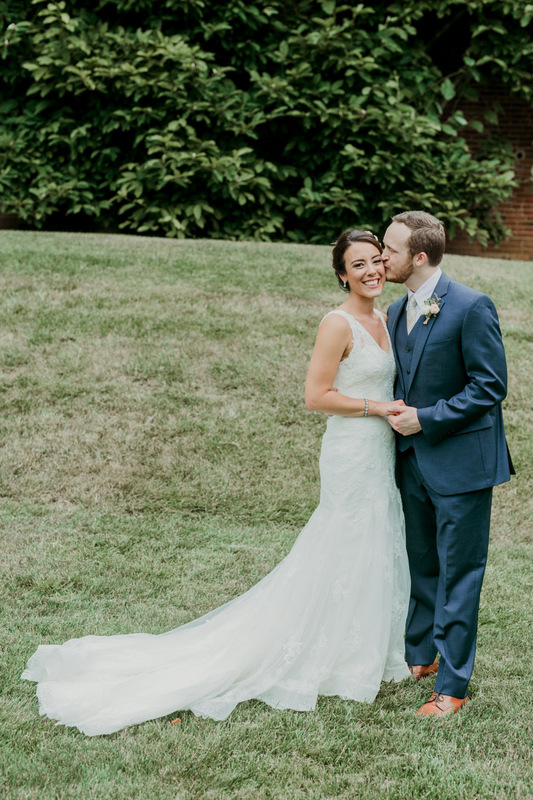 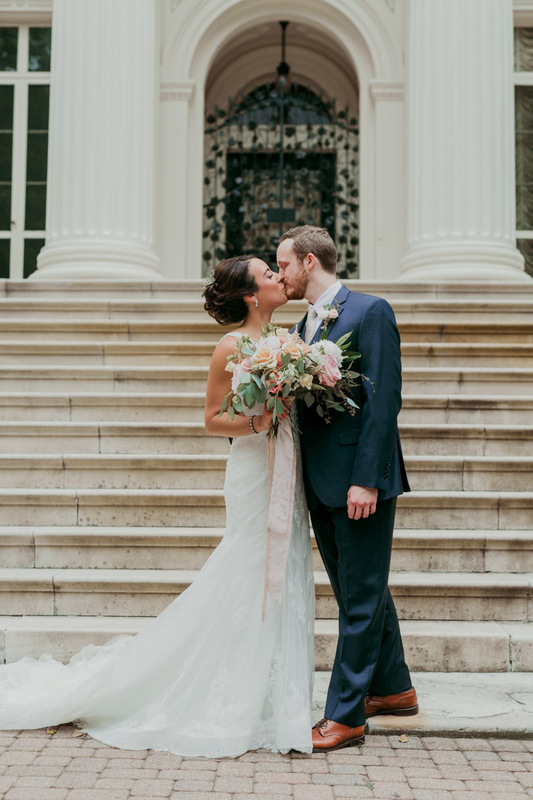 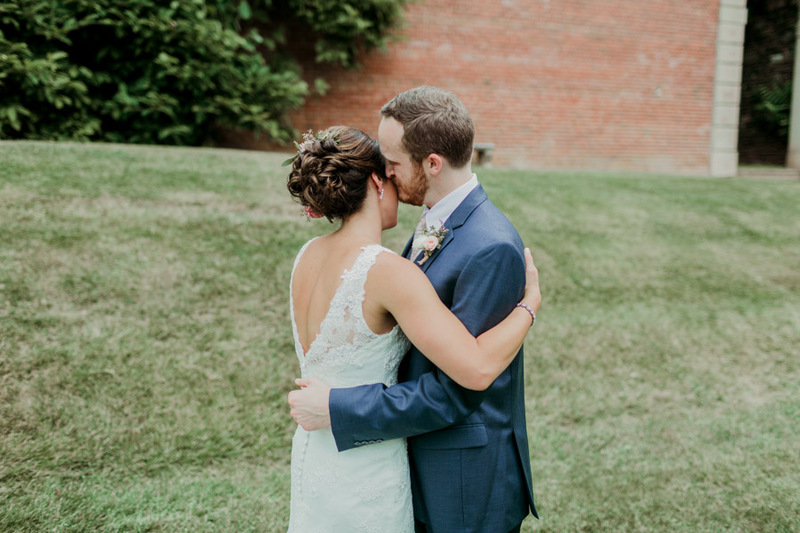 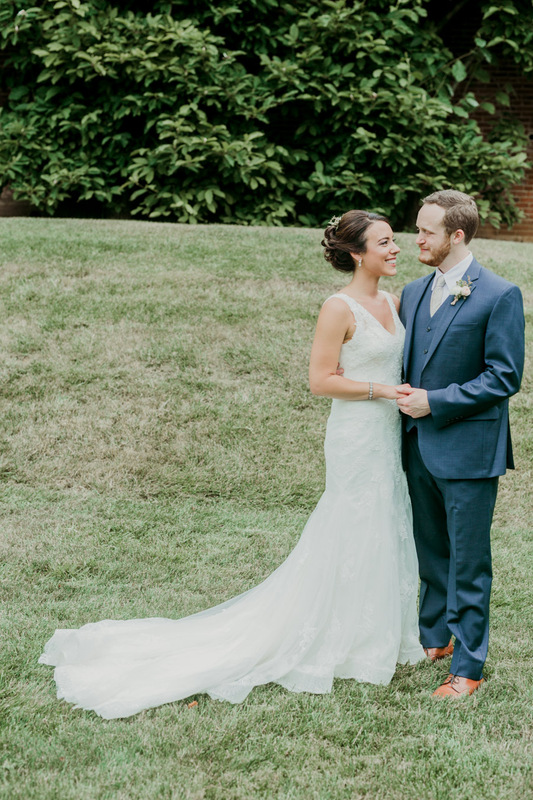 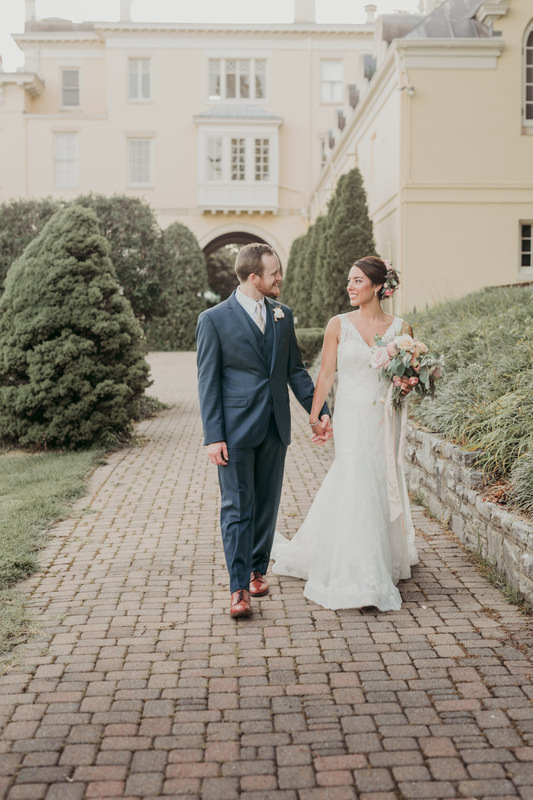 I was so thrilled to work with Sarah and Matt in styling and planning their July wedding at Evergreen Museum 1. because Sarah is the sweetest bride and she and Matt are such a fun couple and 2. because she works in the college guidance department of my former high school! 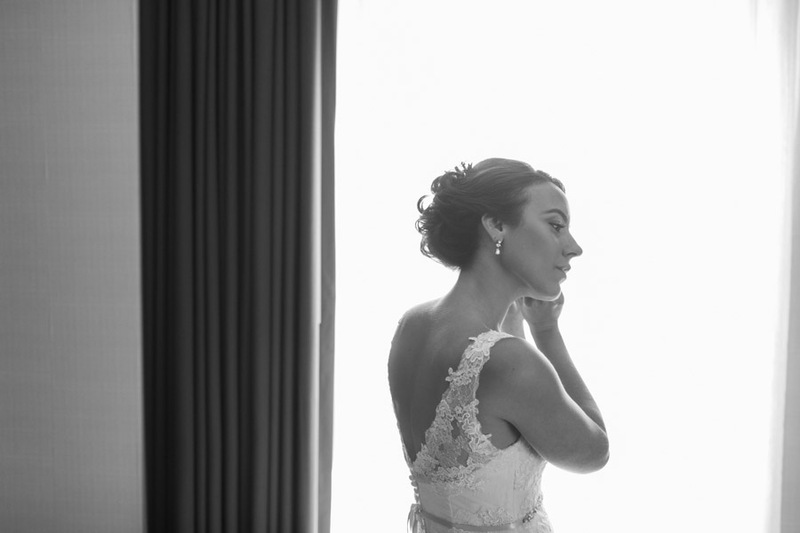 (In fact, her photo was just in the school magazine, which I still receive.) 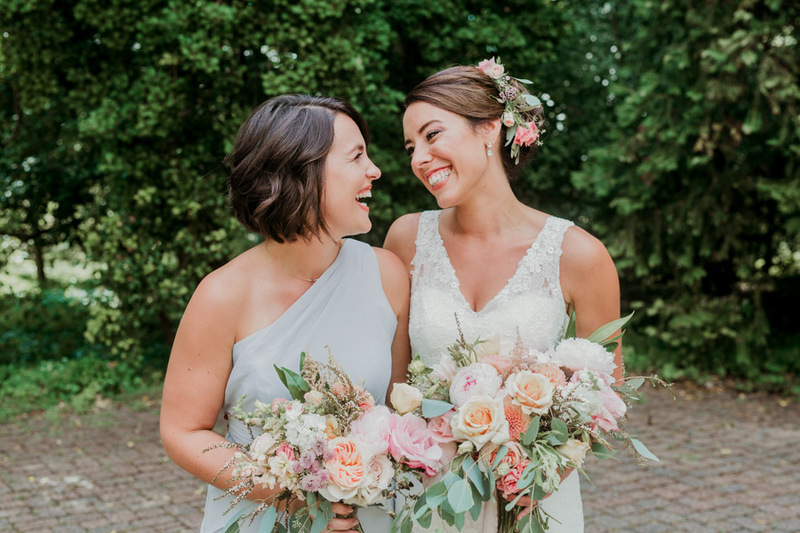 Sarah is one of those people who just treats you like her best, lifelong friend, right from the start, and makes everyone so comfortable to be around her. 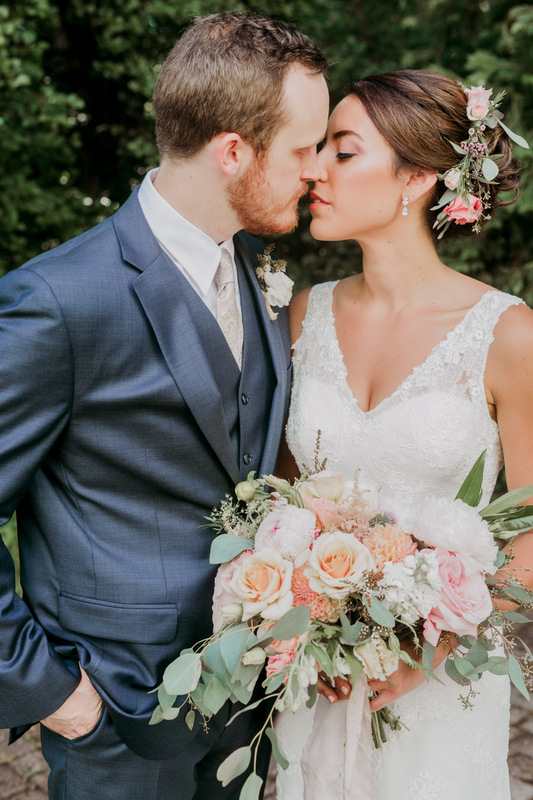 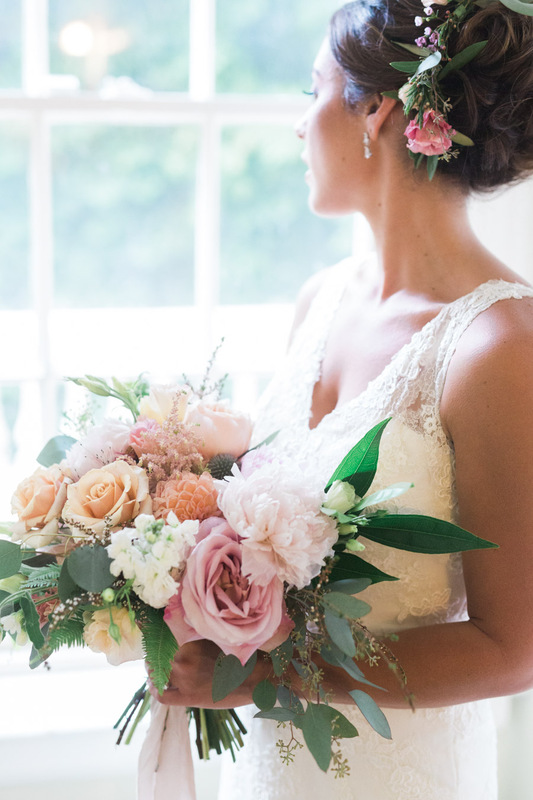 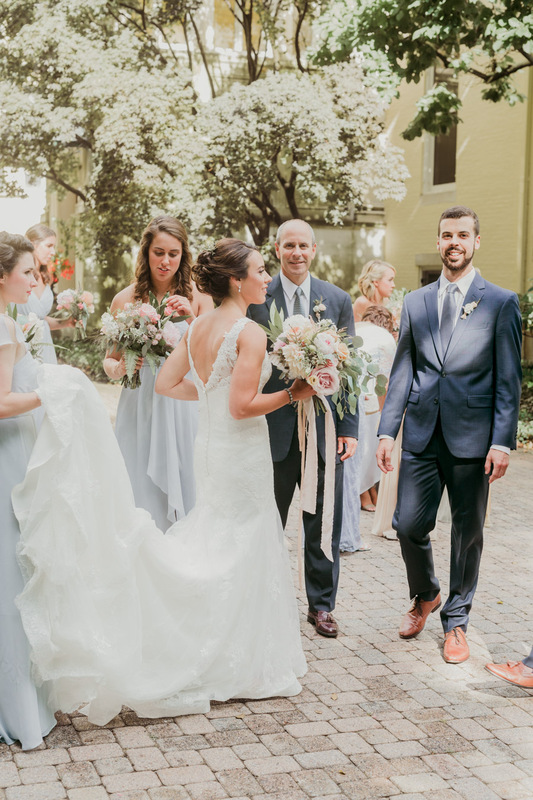 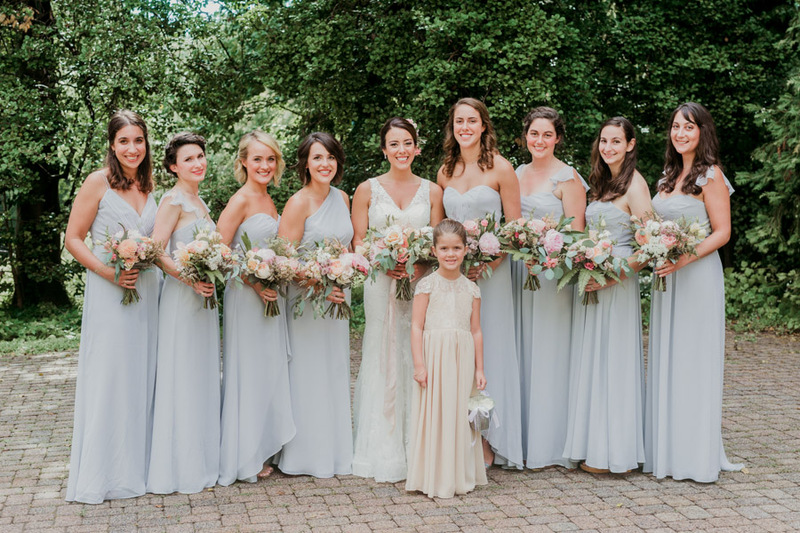 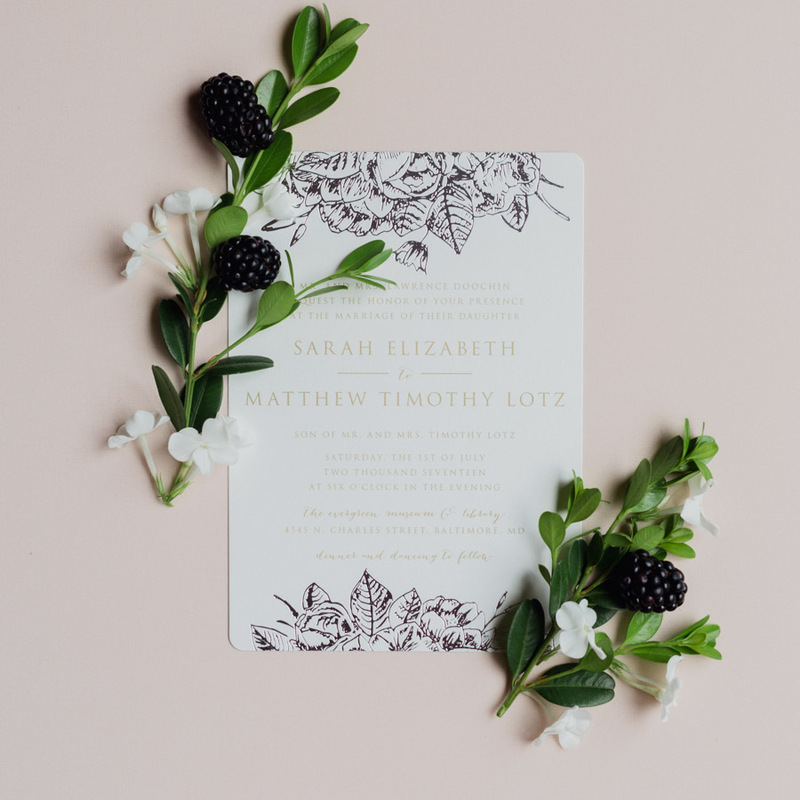 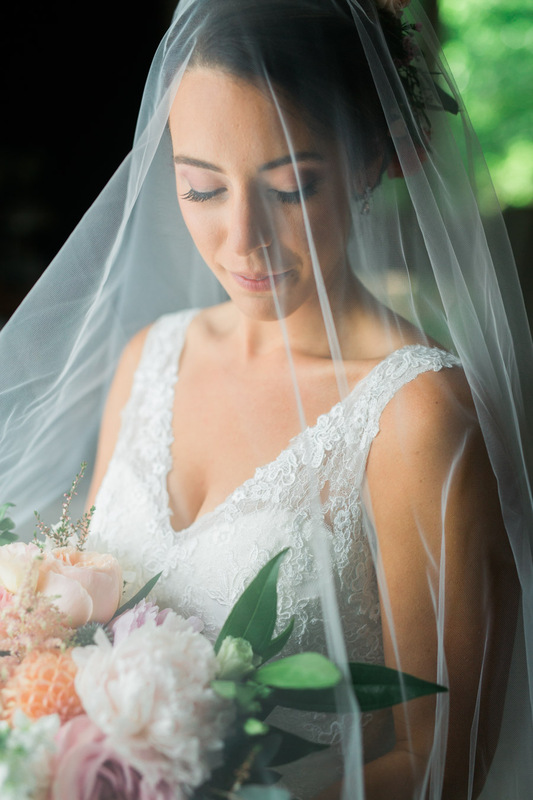 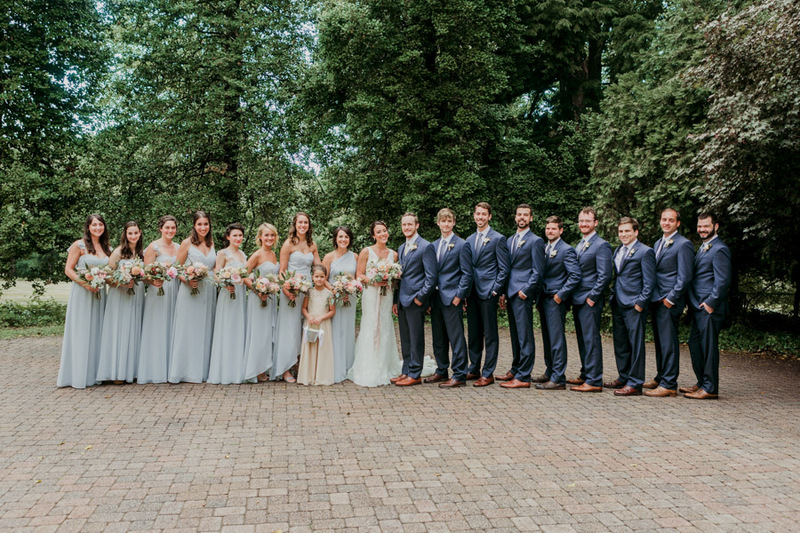 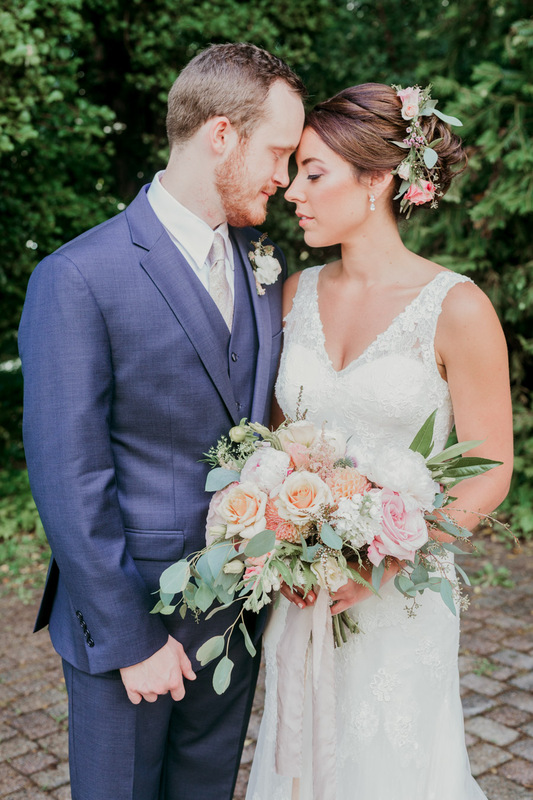 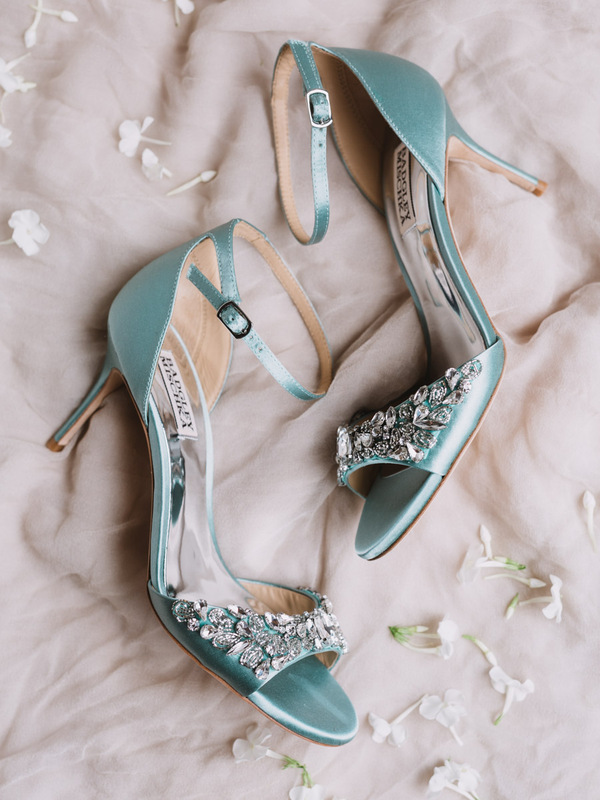 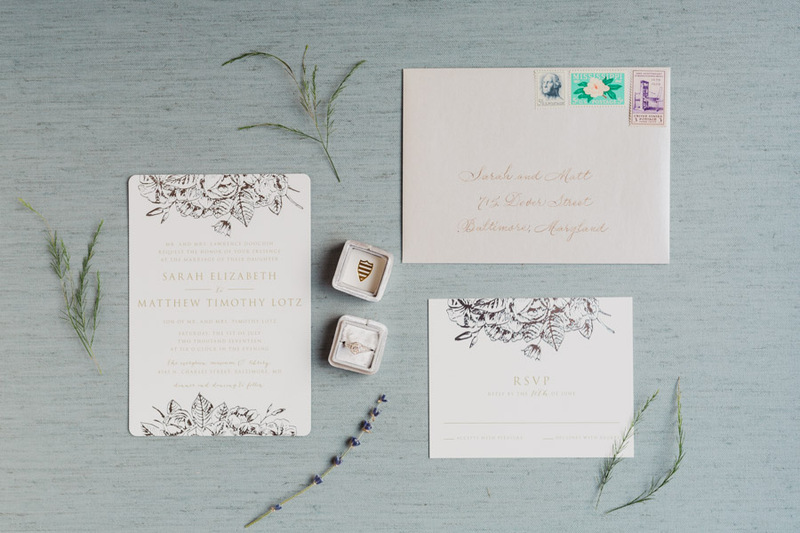 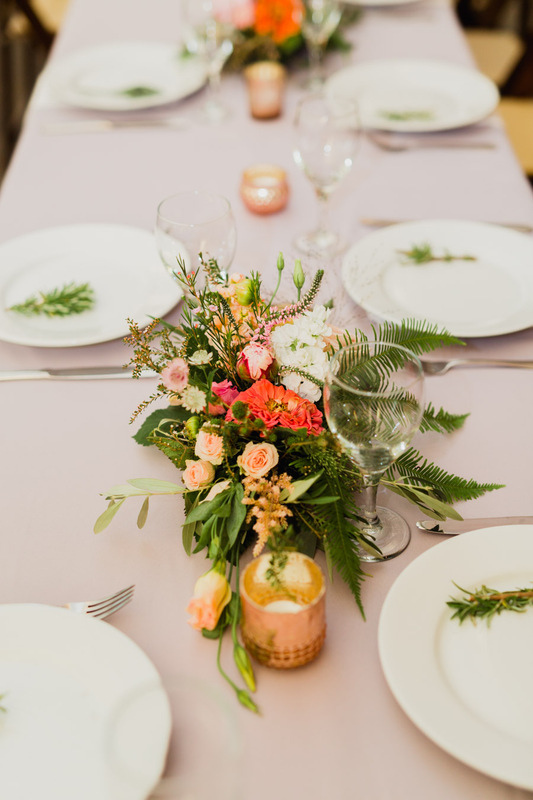 I'm in love with the dusty grey/blue and rose color palette for this summer wedding, and Alysia and Jayson Photography captured such beautiful vignettes and portraits. 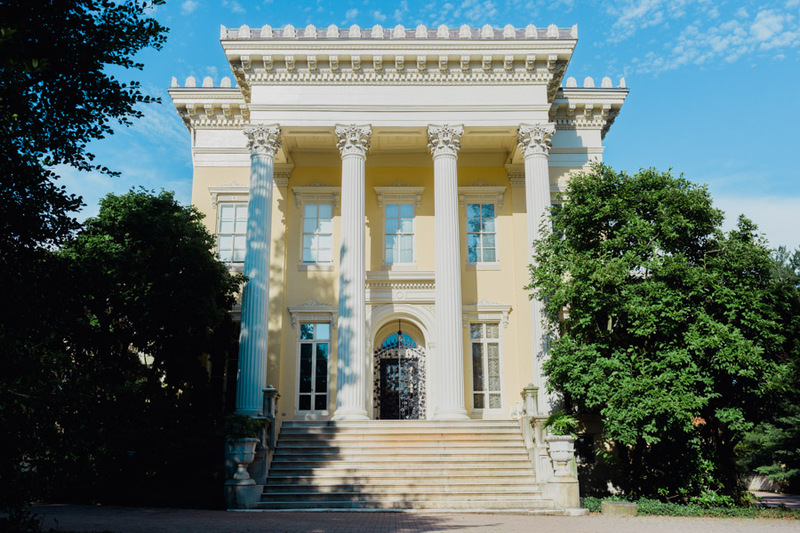 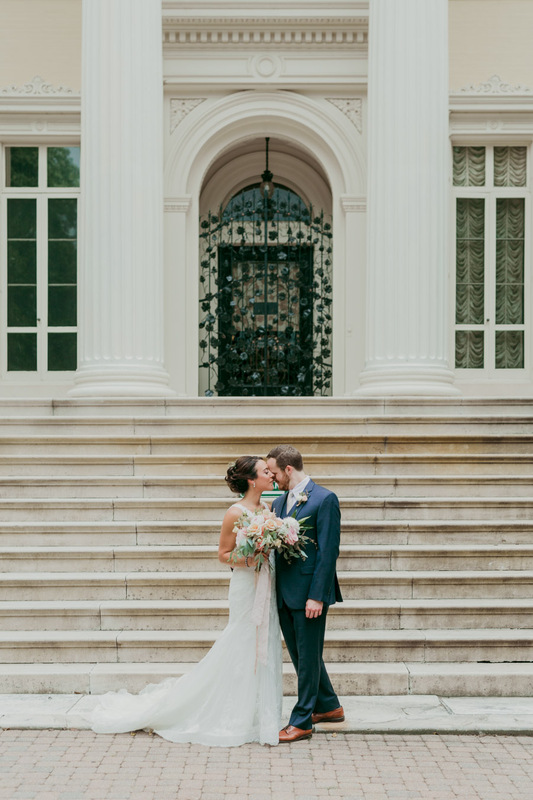 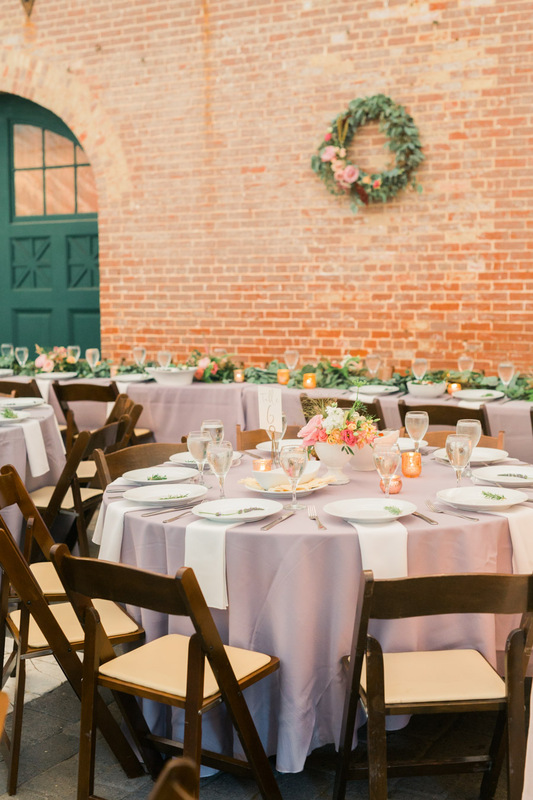 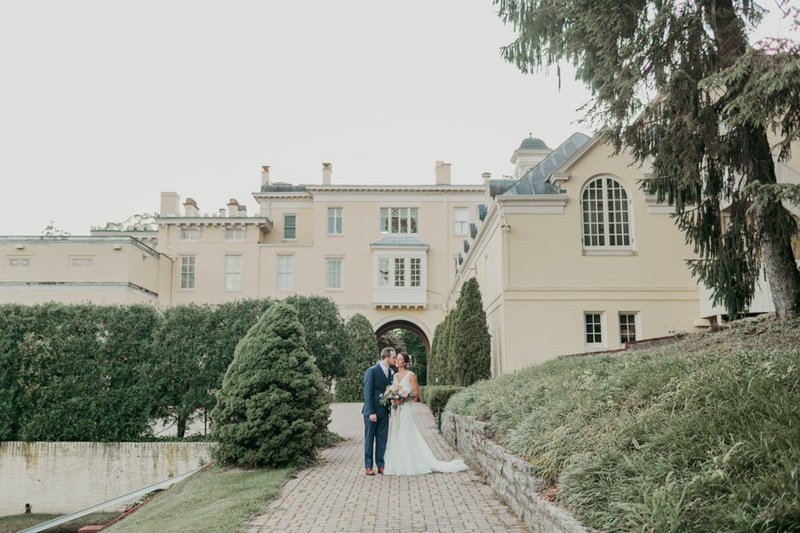 The Evergreen Museum is one of my very favorite venues in Baltimore and we were excited to have multiple weddings there this year. 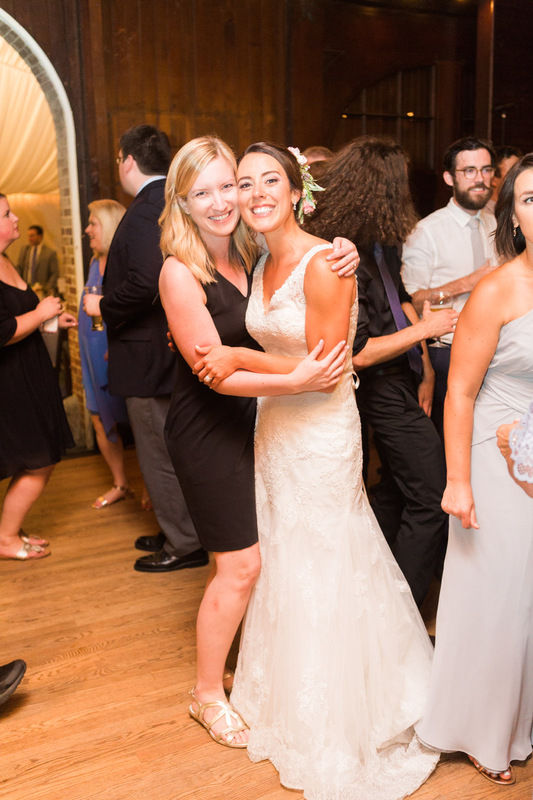 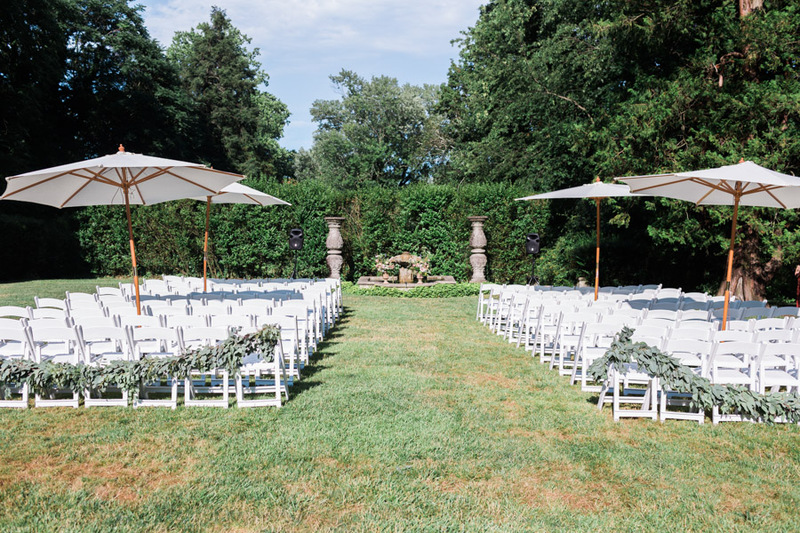 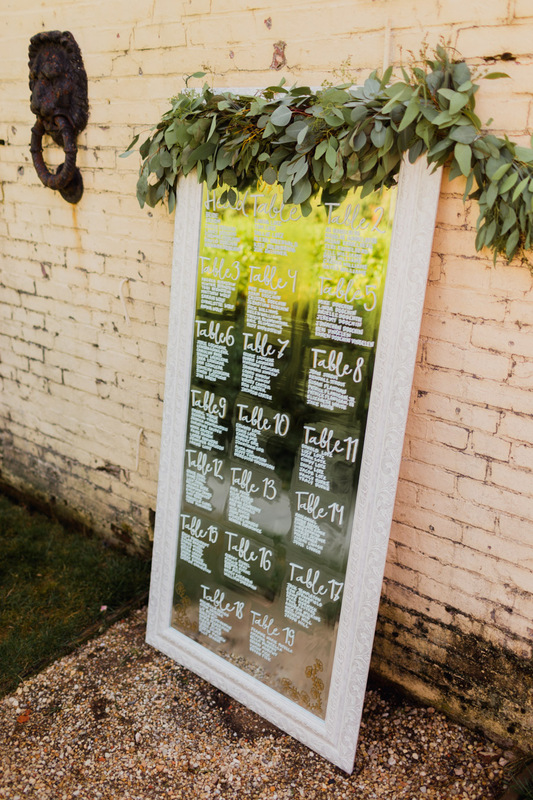 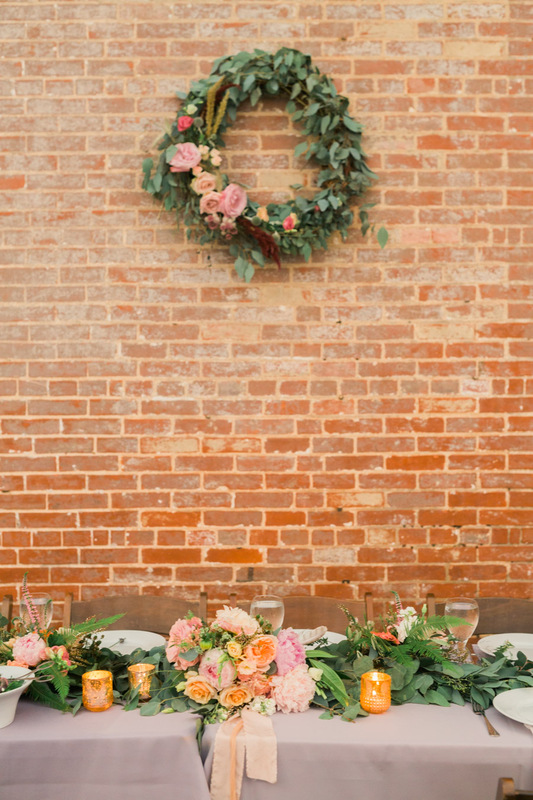 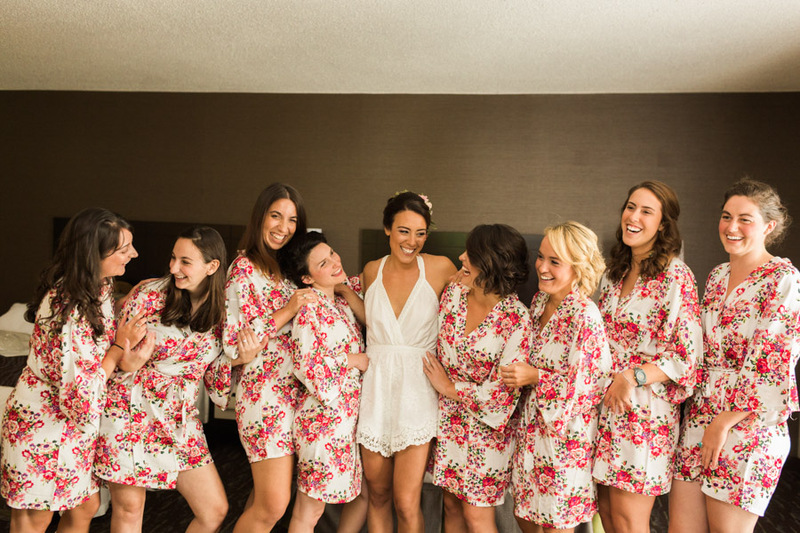 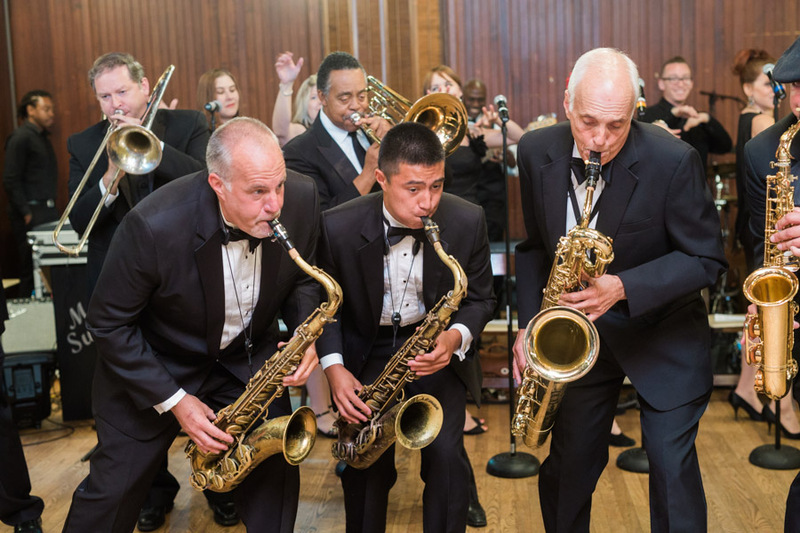 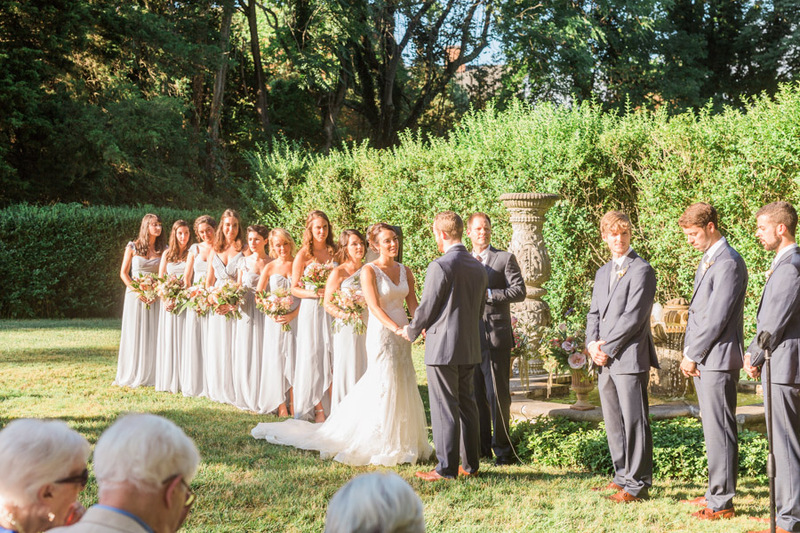 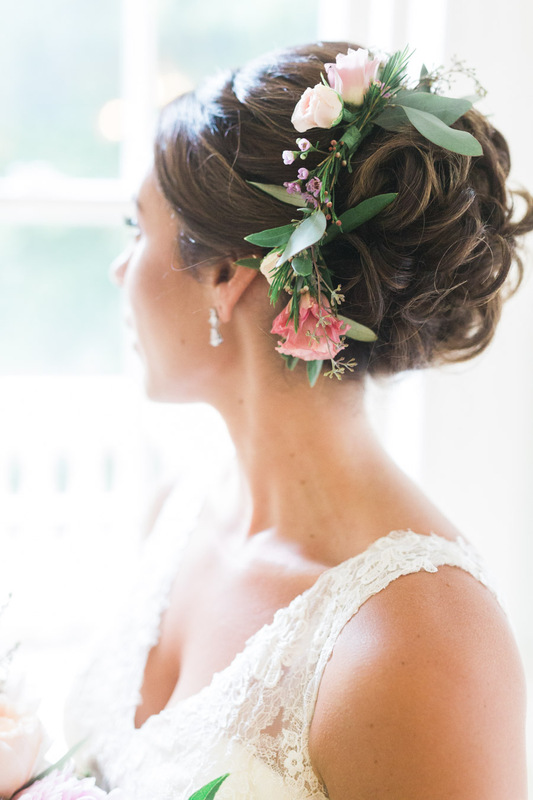 Be sure to scroll down to view the entire list of vendors who contributed to this wedding!